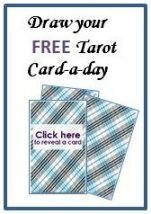 This Tarot blog will show which pages are added how Tarot meanings or readings are enhanced. It will keep you up to date with the latest on this website. To follow this blog click the orange RSS button on this page. 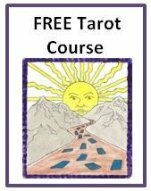 A tarot journal is a great way to express yourself, to work with your intuition, develop your creativity and to learn more about the Tarot cards as well as about yourself. 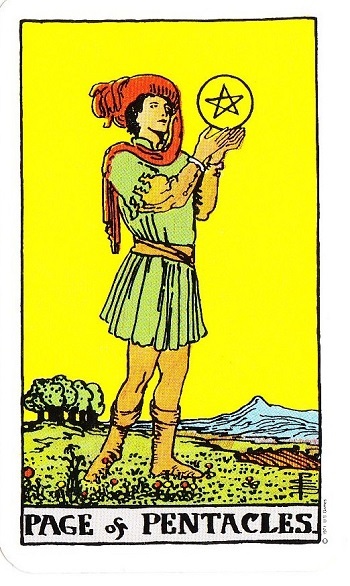 The King of Pentacles is a stable figure who has really worked himself up to the position he is in now. He enjoys what he has achieved and the rewards his work has brought him. 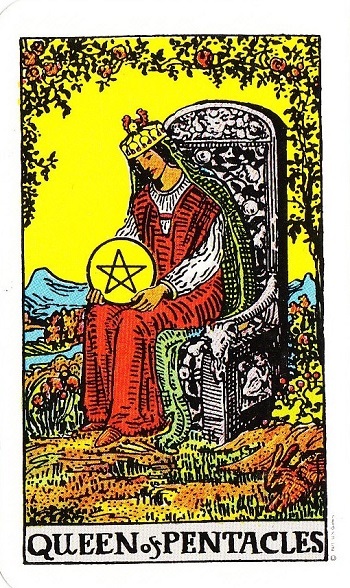 Continue reading "The King of Pentacles"
The Queen of Pentacles is a strong second in charge of the Pentacle suit, she is a very stable and grounded person. 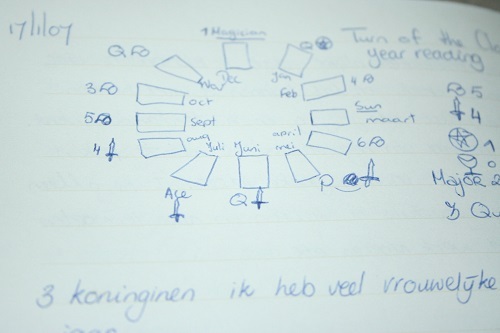 Continue reading "The Queen of Pentacles"
The Knight of Pentacles shows us a stable Knight that is contemplating his next move, as he prefers to approach things in a slow and solid manner. 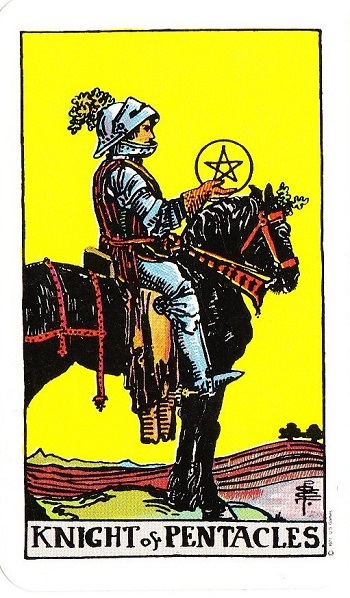 Continue reading "The Knight of Pentacles"
The Page of Pentacles is an image of a dreamy figure that tries to find value in the things they do and will do in future. 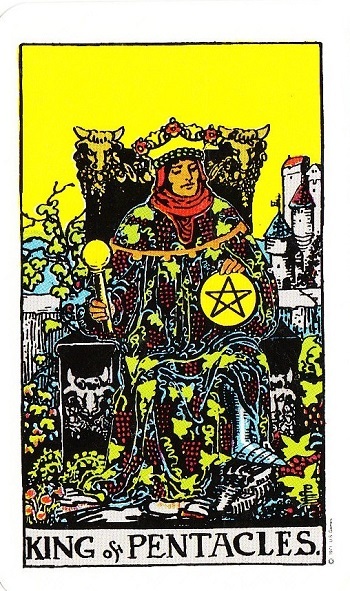 Continue reading "The Page of Pentacles"
The King of Wands is a strong energetic King that has ruled his Kingdom through hard work, mixed with lots of energy and enthusiasm for what he believes in. 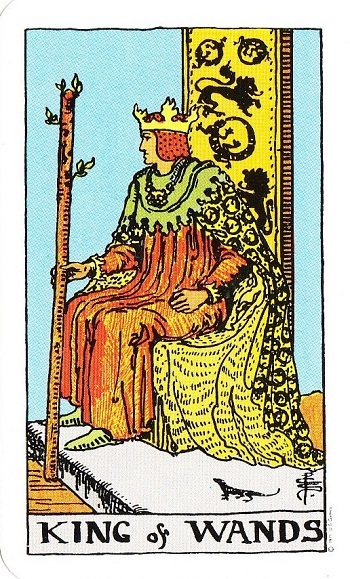 Continue reading "The King of Wands"